Specialized courses are organized by IARC scientific groups, sometimes with the support of the Education and Training group and often co-organized with external partners and held at diverse locations throughout the world. for participants from South, South-East and East Asia countries. 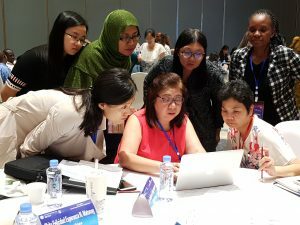 In addition, courses organized by the IARC Screening Group have led to the establishment of collaborative cervical cancer prevention training schools in India, Angola, Guinea, Tanzania, Brazil, and Peru that play an active role in training in their respective regions. CICAMS-IARC joint Training course “Implementing Cancer Prevention and Early Detection” – 5-9 November 2018, Nanning, China.